Brian Lawler has died at the age of 46 following a tragic situation where it is believed Lawler tried to take his own life while in jail. We look back at the career of Lawler, who wrestled for the majority of his career as Brian Christopher and was a member of the Too Cool tag team. 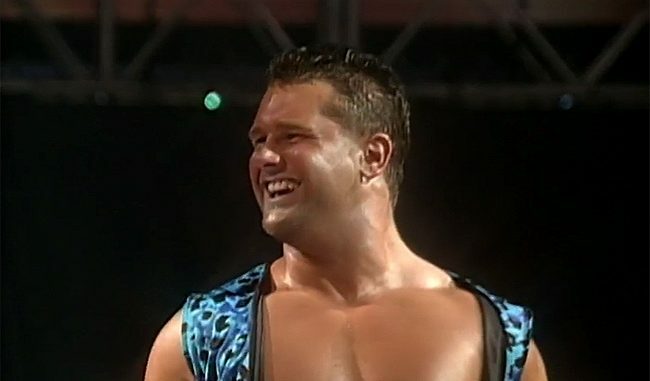 Brian Lawler, who wrestled for the majority of his three-decade career as Brian Christopher, has died following a tragic situation. Lawler was arrested earlier this month and it was only recently reported by TMZ. The site reported that Lawler was arrested late on Saturday, July 7th. He did not stop for the police after he was spotted speeding and swerving and drove home where the cops followed him. Lawler was arrested, and bail was set at $40,000 with Lawler remaining in custody all this time at Hardeman County Correctional Facility in Tennessee. The same site added that Lawler allegedly tried to hang himself on Saturday and rushed to the hospital. There were conflicting reports throughout the day Sunday, but he was declared dead at 4:40 pm Eastern. The Tennessee Bureau of Investigation has stated that an investigation is open and ongoing regarding his death. The bureau added that corrections officers at the jail performed CPR on Lawler until paramedics arrived and transported Lawler to the Regional One Medical Center. Lawler began wrestling at the age of 16 and while always connected to wrestling through his father, Jerry, the two did not have a typical father-son relationship. Brian was raised by Lawler’s first wife, Kay, with the couple splitting up when Brian was seven-years-old and didn’t have a close relationship with Jerry growing up. When Brian entered professional wrestling and his father was made aware, he was concerned about his son having the pressure of living up to the Lawler name and thought it was best for him to wrestle under another name with Jerry not acknowledging him as his son on television. Prior to joining the World Wrestling Federation, Christopher was a key part of the USWA throughout the 90’s and holding the promotion’s championship 25 times in total. His first title win came in December 1993 defeating Buddy Landel and would be tied to the championship through 1997 when he began working for the World Wrestling Federation. This would include feuds with Doug & Eddie Gilbert, Tommy Rich, Road Dogg Jesse James, and even defeated his father for the title in June 1996. His last run with the title ended in June 1997 when he was defeated by Billy Travis. His first match with the World Wrestling Federation was a one-off at a house show at Madison Square Garden on September 25th, 1993. Christopher appeared on the show unadvertised, losing to Jimmy Snuka at a period when the WWF and USWA were exchanging talent following Jerry Lawler’s debut the previous year with the World Wrestling Federation. Christopher wasn’t brought on board by the company until 1997 when they launched the light heavyweight division, the promotion’s answer to the thriving Cruiserweight division in World Championship Wrestling. The division never took off with the WWF mindset of having smaller wrestlers work a traditional heavyweight style and not allowing them to differentiate their style enough. Christopher would even be pegged for that type of style, but he had a personality and was the requisite size for the division. The division allowed Christopher entryway into the company and was eventually paired with Scott Taylor, as the team became known as “Too Much”. The two appeared at their first WrestleMania event in March 1998 as participants in the tag team battle royal, won by the returning L.O.D. 2000. As the team progressed, they would be overtly affectionate with each other with an idea pitched in early 1999 for the pair to be married at a February 1999 pay-per-view in Memphis, which was ultimately shot down. In the spring of 1999, they were given a creative makeover as “Too Cool”, which made their careers. Their first promo aired on Sunday Night Heat and was well-received, although an injury halted the initial momentum for several months. Later that year, they were re-started and paired with Rikishi as a three-man group that became one of the hottest within the company. Their trademark post-match dance routine became a staple at live events and on television, often eliciting huge reactions and became the definition of a solid mid-card act that was red hot in 2000. One of the most memorable matches in Raw history, was a ten-man tag on February 7th, 2000 with Too Cool & Rikishi teaming with The Rock & Mick Foley against Triple H, X-Pac, Chris Benoit, Perry Saturn & Dean Malenko with an electric atmosphere in Dallas, Texas. The crowd heat was off the charts for the match with Too Cool & Rikishi carrying their weight as an act amongst the heavy hitters of the company during their peak period. While Christopher & Taylor were over enough through their gimmick, they received a short run with the WWF tag titles, defeating Edge & Christian in May 2000 in Vancouver, British Columbia on Raw. They dropped them back at the King of the Ring the following month in a four-way match to Edge & Christian, which also included The Hardys and Test & Albert. Injuries and out of the ring incidents were the downfall of the three-man group. It began with Rikishi’s heel turn in late 2000, who was revealed as the driver of the mysterious vehicle that took out Steve Austin. As a heel, Rikishi never had the momentum as a babyface and lost something without Taylor & Christopher by his side. Taylor went down for neck surgery in early 2001, leaving Christopher on his own in limbo. While on the road in May 2001, Christopher was entering Canada for an episode of Raw when he was caught with illegal drugs and was fired by the company. Christopher went to work for NWA TNA when they launched in June 2002, defeating Ron Killings on their debut pay-per-view in Huntsville, Alabama and worked regularly for the company during their first year of operations. Following WrestleMania 20, Christopher returned to the WWE in April 2004, but only lasted one month, was never pushed and it was an unremarkable run. When Jerry Lawler was feuding with Michael Cole leading into WrestleMania 27 in 2011, Christopher was brought in as a surprise guest of Cole to cut a promo on his father and further build up the match. He was also brought back for an edition of “Old School Raw” in January 2014, defeating 3MB. This also led to a cameo on NXT in February 2014, where Christopher & Taylor lost to The Ascension, who was being pushed as the monster tag team of the brand at that time. Lawler’s issues with the law through substance and alcohol abuse were well-documented with several arrests over the past decade, prior to this latest one earlier in the month. Jerry Lawler left a comic convention in Raleigh, North Carolina in order to see his son before he passed away Sunday. Brian Lawler was 46 years old.